Take your showmanship to the next level. 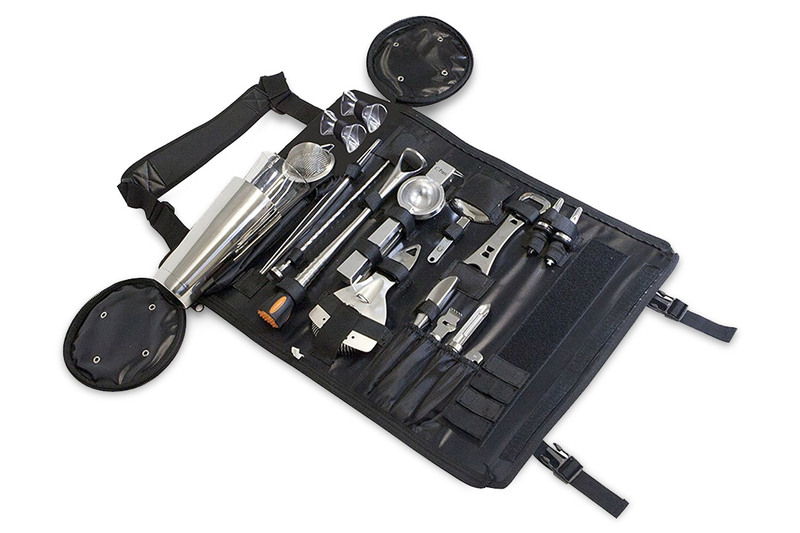 A perfect bar tender kit with all the necessities to take you from a novice to a pro in no time. A must have in any bar/restaurant. We offer both a pro and a deluxe bar roll with everything from strainers to bar blade pro jiggers. Comes with over ten useful accessories in an easy-open carry case perfect for the travelling bartender or for easy storage behind a busy bar.